Does Canon 50D Magic Lantern Raw make sense in late 2015?? I’m seeing them going cheaper than ever before! Could pick one up in the US$150ish region on eBay, or even less (as if being used for Magic Lantern Raw you can buy “broken” ones, which are fine so long as live view still works then you can tap into its video capabilities). The Canon 50D was a huge hit on the internet with filmmakers getting excited over its beautiful capabilities when Magic Lantern unleashed its video power back in early 2013. Turns out that the Canon 50D is the next best camera for Magic Lantern Raw after the (very expensive) Canon 5D mkIII! I almost *ALMOST* purchased a Canon 50D back when the ML video hack first came to light back in early 2015. Very very glad now I didn’t, as with hindsight (and the BMPCC hitting only US$500) I can see that would not be a good idea. But with a Canon 50D being so much cheaper than what it was back when the ML raw hack happened, I’m being tempted again… Though what would be the point? Already got a Blackmagic Pocket Cinema Camera. Anyway, I shall soon find out the answer to all this! As a FB friend offered a used 50D at a “can’t say no” price (the body however is no good for photography, but live view works so is 100% good to go for ML raw video! ), and I bought it! Handily my good friend Dion from Oneironaut Studios has dabbled in using a 50D before (long since sold) and still has a left over ultra fast card from those days which we can use to experiment a little with 50D’s ML raw. As the only CF Card I’ve got is a SanDisk 16GB 50MB/s ULTRA CF Card, which is waaaay to slow (except I hope it will be good enough for ML’s H.264 video). 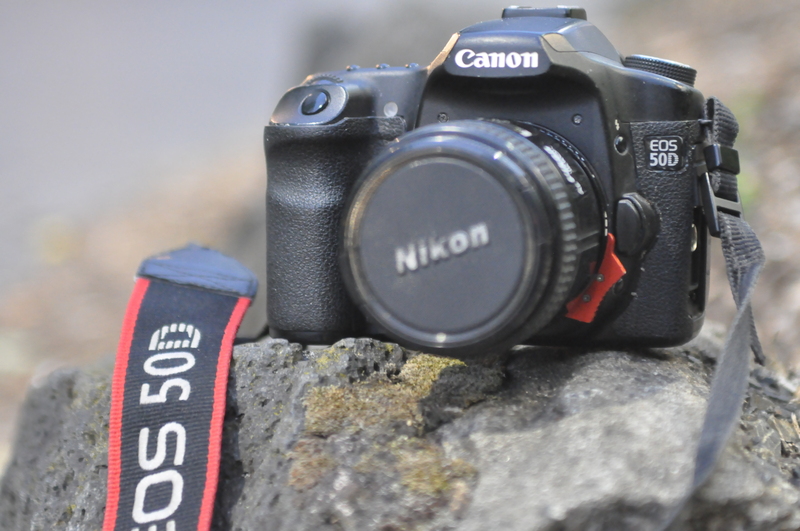 But I highly doubt I’ll do anything else than experiment and dabble with the 50D’s capabilities. However who knows, maybe I might fall in love with it and use it on the various little things where audio doesn’t matter such as BTS shoots, B roll, & music videos. Pity a hack for 50D audio will never happen. As the 50D had the capability to shoot video but at the last moment Canon pulled it from the camera. Canon 50d even has a mic socket for where a mic would be if you open it up as you can see in the PetaPixel article. Its pretty obvious. Canon sold a TON of 5DMkIIs thanks to video capability. If they had done this with the 50D they would have easily lost a grand on each of those sales. Another intriguing thought is the 50D has a USB port which data can be sent over to the camera, and audio is often enough dealt with over USB, putting two and two together…. could it happen?? Unfortunately I’d rate it as very very unlikely that audio input over USB will ever be implemented in Magic Lantern, won’t hold my breath for that happening as likely too hard and too little demand for it. Previous PostBrainstorming a future US$3,000 Samsung cinema camera. Next PostFirmware update for Tascam DR-60D mk1 fixes recording interruptions when running on external USB power packs.